Late last week, the following news came out. The White House has contracted with a major developer of mapping software to merge a federal website that publishes geospatial information with Data.gov, the government’s depot for downloadable data sets, the company’s president said on Thursday. California-based ESRI began last summer tying Data.gov to Geodata.gov, the geospatial information gateway, said company President Jack Dangermond in an interview with Nextgov. So lets get the “bottom line” out of the way first. Clearly ESRI is doing this at practically zero cost for the feds. When I first read this I couldn’t help but chuckle. Competing against Google, who is more than happy to give products away, forces companies to make hard decisions such as this. I can see Mr. Kundra sitting in his office laughing uncontrollably because he can play Google, Microsoft and ESRI off each other to get what he wants for practically free. There are very few geospatial companies that can pull this off at that price and honestly ESRI might be the only one. 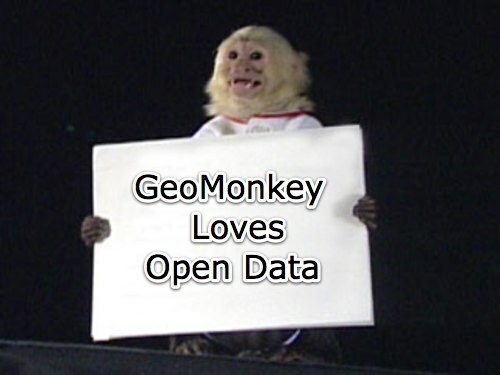 The GeoMonkey enjoys geo-content only one way…. Visitors to the Feds or Visitors to ESRI? The NextGov article is somewhat vague, but leaves a bad taste in my mouth. The site [ArcGIS.com] already allows anyone to search for graphic layers of information from data sets ESRI retrieved from federal GIS databases. Visitors then can add the layers to a base map, or a background map, to complete the picture. ESRI, which makes money by licensing software for managing and publishing geographic information, is offering the site free of advertisements and does not claim ownership of any content that people and agencies contribute, Dangermond said. How am I to read that? Does this mean that because I consume “open” federal data in ArcGIS, I can access it for free without advertisements (take that Google BTW)? Must I use ESRI APIs to access geospatial data in Data.gov? It sure reads that way doesn’t it? You’ll use ArcGIS.com! 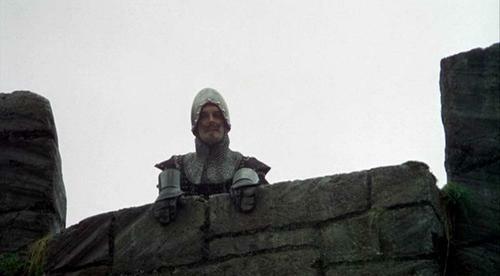 Now leave before I am forced to taunt you a second time! Ah, but the scuttlebutt is that this was a quick sole-sourced contract that is meant to drive content to ArcGIS.com. I guess if someone came up to me and said they’d do millions of dollars of work for free, wouldn’t you take them up on that? So that makes this about people going to ArcGIS.com and not going to the EPA, or DHS or whatever 3 letter agency you enjoy working with. 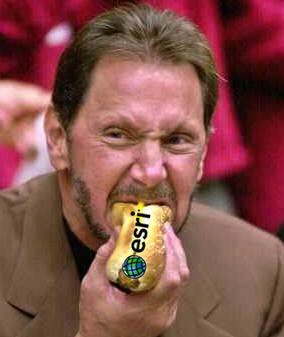 ESRI won’t give away something unless they get something in return. That would be ArcGIS.com being the middle man. The other big issue I see here is the question, “Is ArcGIS.com open data?”. Do “open” ArcGIS Web Services make this data open to all? Does data in ESRI Layer Packages or Layer Files equate to open data? Hard to say. I asked that question on Twitter last week and got 100 different responses. To be honest, I have trouble answering the question as well. I just got back from the NYS Geospatial Summit where I said that I get very nervous when government data is passed to me through proprietary APIs, but as long as I can get at the raw data in an open standard I’m OK with it. Thus I think as long as ArcGIS.com is there for web services and I’ll still be able to get at the data through agencies websites (e.g. EPA.gov and not ArcGIS.com) there isn’t anything to worry about. But I don’t think that is the case at it appears to me that everything will be run through ESRI’s servers and the data will be available on ESRI support platforms. As I said above, we’ve gotten into a vicious marketing cycle here. ESRI can afford to do this because they can sell their licenses to the Federal government to produce the services. Could anyone else in our space do that? Nope, not a one. But what does this mean for consumers of federal data? Does it mean that we all need to buy ESRI licenses to work with their data? Possibly, “open” RESTful services or not, the bottom line is that those with ArcGIS Server or Desktop in their pocket will be able to get up and running quicker than those who have Autodesk or Intergraph licenses. It puts pressure on users to come up with ETL solutions (like Safe’s FME) to do the conversion for them, from ESRI formats and services to OGC formats and services. What this is all building to though is actually a pretty usable system. Can you imagine, assuming Jack can pull this off and get all governments (local, state and federal) to load their data into ESRI’s ArcGIS.com, how valuable this might be? Ignoring the “open data” question for a moment, if I can overlay data from my (well maybe not Tempe,AZ) local city, my state and federal government agencies all in one place; doesn’t that give us the tool we all want? Funny how we get right up to the door and all we have to do is walk through. We’d then enjoy access to thousands of geospatial datasets. Maybe my problem is that there are locks on that door and I’m just afraid that I won’t always have a key to open it or get back out. The ESRI UC is shaping up to be quite interesting, isn’t it?